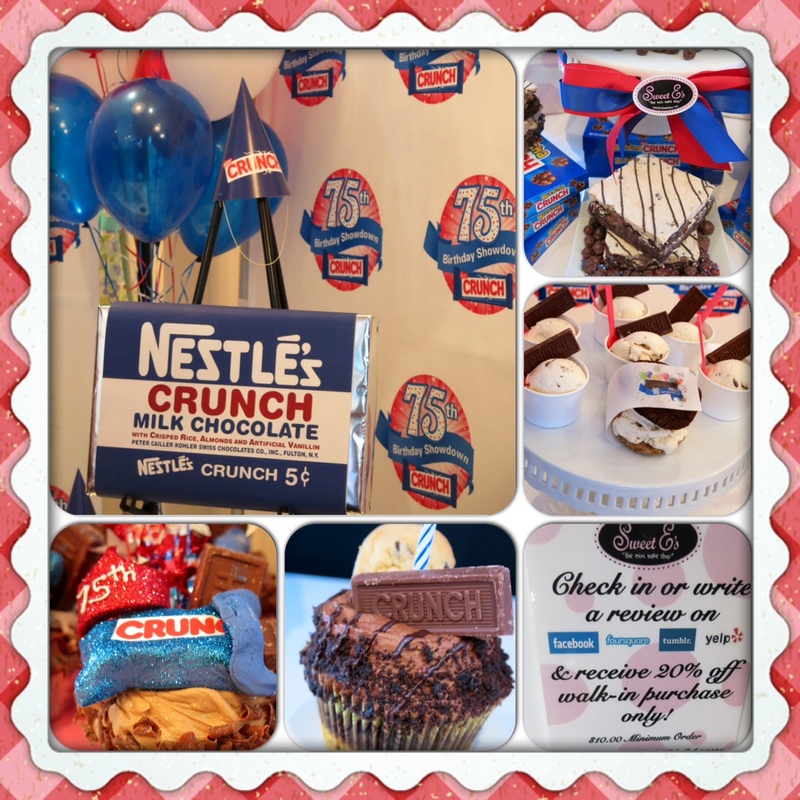 Trail Mixed Memories: NESTLÉ® CRUNCH® 75th Birthday Top Bake-Off Showdown! Happy Birthday Nestle! NESTLÉ® CRUNCH® 75th Birthday Top Bake-Off Showdown! Happy Birthday Nestle! Anyone who knows me at all knows I have a HUGE sweet tooth! When I got the invitation to attend NESTLÉ® CRUNCH® 75th Birthday Bake-off in Los Angeles, I jumped at the chance! There goes my never-ending diet! Who wouldn't jump at the chance to meet and sample the best sweets on the West Coast? Not I! We arrived at Sweet E's Bakeshop on March 27th eager and hungry. The beautiful little Sweet E's enticed you as you walked by the door! Outside stood the Casey's Cupcakes, CoolHaus and Sweet E's decked out rides. By the sweet aroma wafting out of the vehicles, we knew we were in for a special treat. 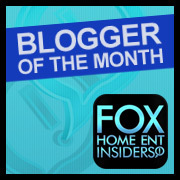 Sweet E's entry into the competition was decadent! Erica Tucker of “Cupcake Wars” was a gracious host and fantastic baker! With her were Casey Reinhardt of Casey’s Cupcakes, winner of “Cupcake Wars” season 2, Nastassia Johnson of Coolhaus, and Lisa Hess-Marks of Crumbs Bake Shop. The top four bakeries, Sweet E's, Casey's Cupcakes, Crumbs Bake Shop and CoolHaus had pulled out all stops for the West Coast competition. What competition might you ask? NESTLÉ® CRUNCH® decided to determine the best Nestle Crunch inspired birthday treat in honor of the Nestle Crunch candy bar's 75th Birthday. Not only on the West Coast but Nationwide. If you are a fan of Peanut Butter and Chocolate, this might be your favorite! The crunchiness of NESTLÉ® CRUNCH® bars melded together with creamy peanut butter makes a mouth-watering treat! Really, doesn't Bacon make everything taste better? Yes! Large candied bacon pieces combined with maple syrup, browned butter, and Nestlé's Crunch bars made the oh so delicate ice-cream pop! This layered cupcake starts off with a blondie base followed by NESTLÉ® CRUNCH® chunks held together by a melt in your mouth chocolate cake and buttercream! Garnished with a NESTLÉ® CRUNCH® mini bar, mini cookie and cake crumbs made a chocolate lovers delight! Almost too pretty to eat, this piece of art was completely edible. Fondant decorated, crown adorned with glitter, royalty is its name! Devils Food Cake mixed with NESTLÉ® CRUNCH® bar, it is filled with creamy chocolate frosting and topped with chocolate shavings. Will this take the NESTLÉ® CRUNCH® Crown? Casey’s Cupcakes, Orange County, Calif.
Erin of Horsing Around in LA and I feel privileged to be able to witness firsthand what amazing bakers these girls are! We wish them the best in the competition and we are especially glad that we didn't have to choose our favorites... we wouldn't have been able to choose! Disclaimer: This is not a sponsored post. All opinions are my own I received samples of the desserts but was not compensated in any other way. All pictures are property of SoCalKidsOutAdv. Do not copy or alter them in anyway without asking permission first. You have so much energy!